We’re not all app developers around here, so it’s nice to have options when it comes to product pitches, app concepts, and just everyday tech tinkering. To get started, take a napkin or any scrap of paper. Draw out your schematic diagrams for some buttons, user interface, and menus. Next, let Marvel turn it into a tappable, interactive demo. No coding required. What’s not to like? It’s free!! 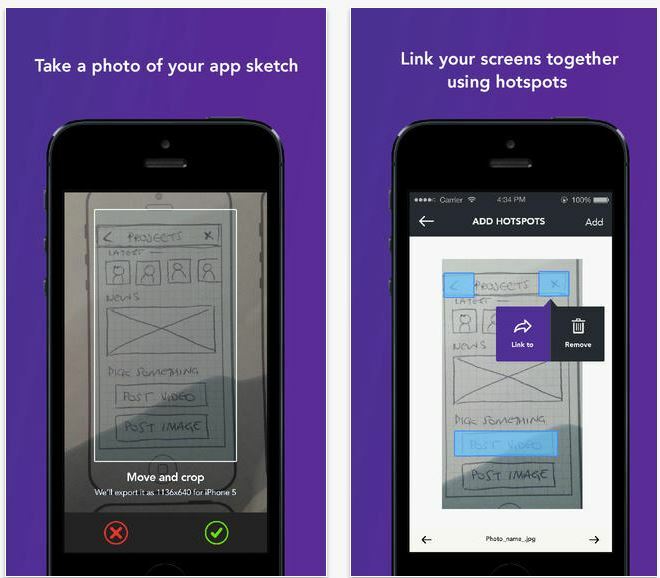 Since the app uses Dropbox to source your sketches, you’ll need that to get started. there’s also support for Photoshop files, so if you’re a designer, this is a pretty good option for dirty or clean drawings.